Elizabeth Blackwell #WHM16 #WomensHistoryMonth #WomenInSTEM « Adafruit Industries – Makers, hackers, artists, designers and engineers! 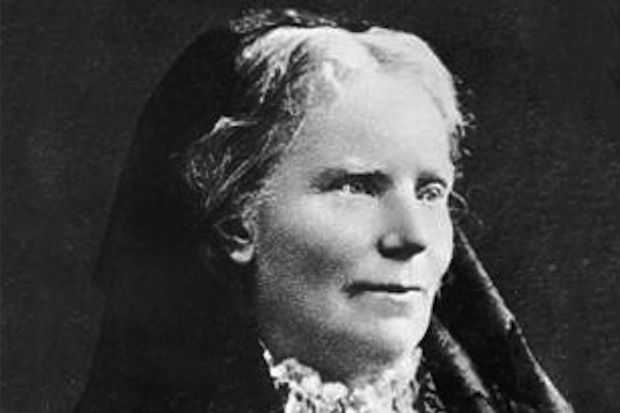 Elizabeth Blackwell (3 February 1821 – 31 May 1910) was a British-born physician, notable as the first woman to receive a medical degree in the United States, as well as the first woman on the UK Medical Register. She was the first woman to graduate from medical school, a pioneer in promoting the education of women in medicine in the United States, and a social and moral reformer in both the United States and in the United Kingdom. Her sister Emily was the third woman in the US to get a medical degree. Back in New York City, Blackwell opened up her own practice. She was faced with adversity, but did manage to get some media support from entities such as the New-York Tribune. She had very few patients, a fact Blackwell attributed to the stigma of woman doctors as abortionists. In 1852, she began delivering lectures and published The Laws of Life with Special Reference to the Physical Education of Girls, her first work, a volume about the physical and mental development of girls. Although Elizabeth herself pursued a career and never married or carried a child, this treatise ironically concerned itself with the preparation of young women for motherhood. The Woman’s Medical College of the New York Infirmary. [Announcement, 1868–69]. In 1853, Blackwell established a small dispensary near Tompkins Square. She also took Marie Zakrzewska, a German woman pursuing a medical education, under her wing, serving as her preceptor in her pre-medical studies. In 1857, Dr. Marie Zakrzewska, along with Blackwell and her sister Emily, who had also obtained a medical degree, expanded Blackwell’s original dispensary into the New York Infirmary for Indigent Women and Children. Women served on the board of trustees, on the executive committee and as attending physicians. The institution accepted both in and outpatients and served as a nurse’s training facility. The patient load doubled in the second year.